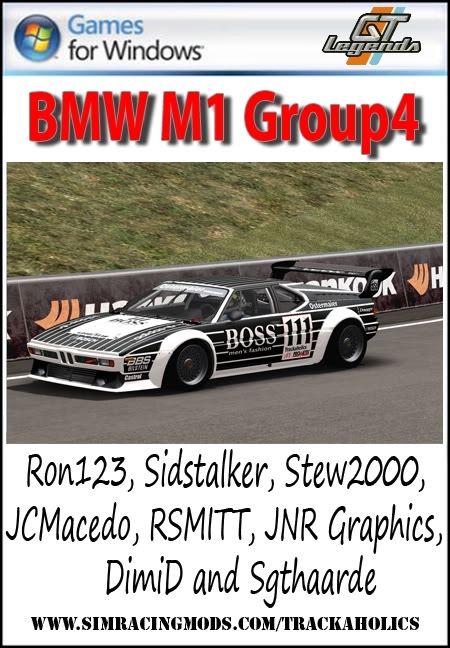 This is the great BMW M1 Gr4 mod created by Ron123, Sidstalker et al for GTR2, then converted by me for GTL. I changed the lines to make it compatible with GTLegends, made the .bik files and added the icons. Ron later gave a hand again fixing some issues with the mirrors. You can find my 1982 Vila Real winner skin in the pack as well.